It was an emotional day at the State Capitol in Madison as families who’ve lost loved ones to impaired drivers pleaded with lawmakers to toughen the state’s OWI laws. MADISON — It was an emotional day at the State Capitol in Madison as families who’ve lost loved ones to impaired drivers pleaded with lawmakers to toughen the state’s OWI laws. 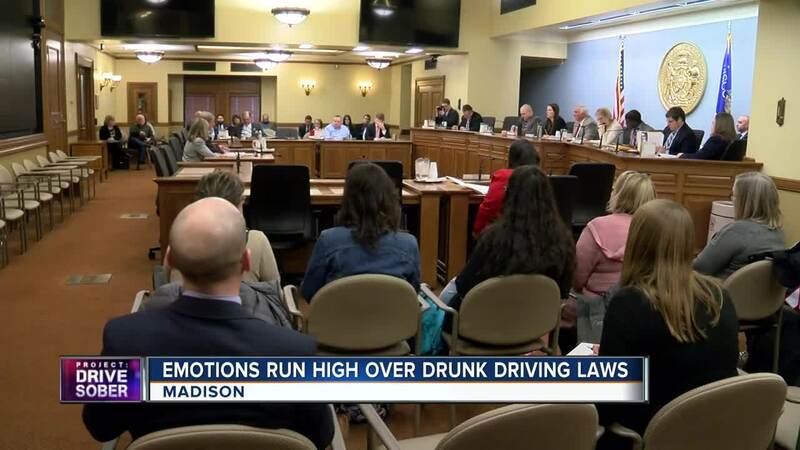 It was the first public hearing in front of the State Assembly’s Criminal Justice and Public Safety Committee on four bills that would toughen the punishment for people convicted of driving while impaired. Families feel their lives have been destroyed, while the people who chose to drive while impaired have suffered almost no consequences. Rep. David Crowley (D-Milwaukee) told the bills’ authors, Rep. Jim Ott (R-Mequon) and Sen. Alberta Darling (R-River Hills), he is concerned about the costs that could be associated with stiffer penalties. “One of these things we have to look at is the cost. Even though we know that many of these bills are greatly spirited, we know it is going to be a great burden on the taxpayer at the end of the day right now,” Crowley said. For information about how to contact your lawmaker, visit tmj4.com/drivesober .